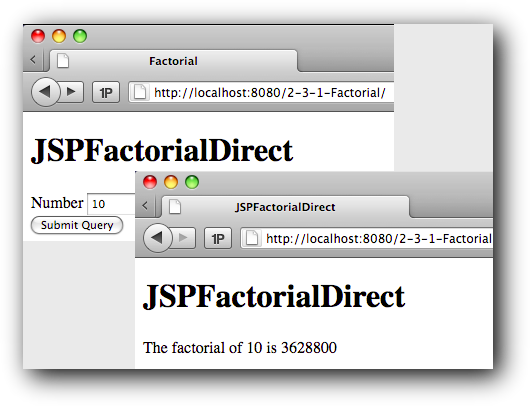 JavaServer Pages (JSP) first appears in 1999 as an alternative to ASP and PHP for writing server-side software easily. session, an HttpSession. Note that a JSP always runs within a session. This is mandated by the J2EE specs. 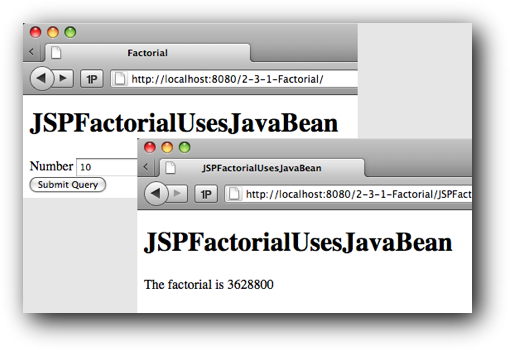 calculates and shows its factorial by using a JSP. This means that the code for doing the calculation as well as for creating the output needs to belong to the same JSP. We can enhance our application to become MVC compliant by implementing a controller as a Servlet. 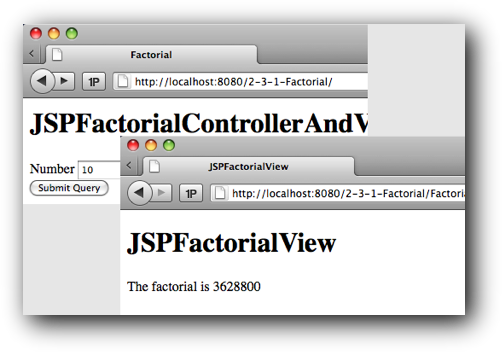 The controller gets a request, calls appropriate methods on our existing JavaBean to get the factorial (this is our model), sets the factorial as another attribute of the request and then selects a JSP (our view) for producing an HTML response. The JSP can then access the attribute from its requestScope using Expression Language. The requestScope maps attribute names to their values. It allows JSP to access the attributes of the request object.